Today hear one student’s advice for getting an 8.5 on the IELTS Speaking Exam! Andressa got 8.5 in Speaking, 8 in Reading, 7.5 in Writing, and 7.5 in Listening. What is the secret to getting high IELTS scores? Andressa followed the study plan in our course, and she said this was one secret to helping her prepare. 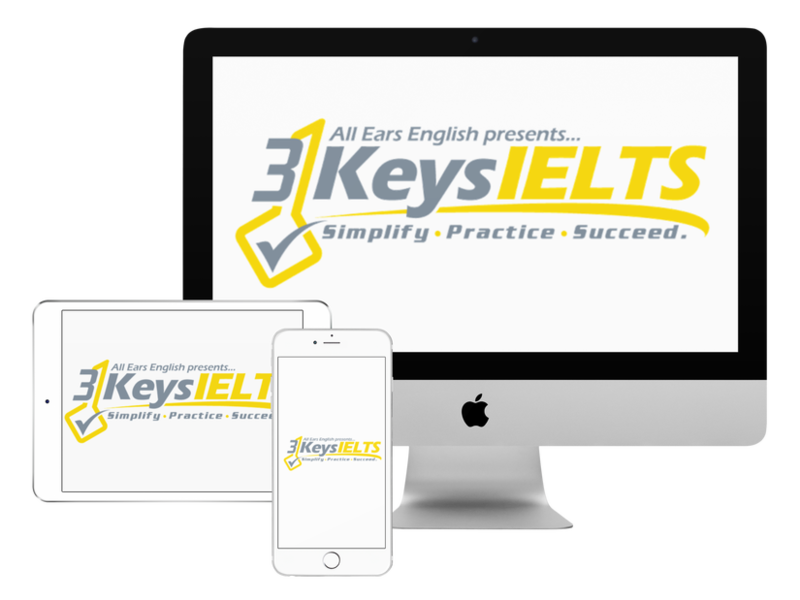 Before joining 3 Keys, Andressa felt overwhelmed, not knowing how to tackle her IELTS preparation. She also supplemented with a very beneficial activity. Choose an article from the New York Times or the BBC. Read it out loud, and record yourself. This improves your Fluency/Coherence, and Pronunciation. Pretend you are explaining the article to someone, and talk out loud. Also record yourself again. These are activities that I also recommend to IELTS students that I tutor in our course. Read out loud! The last step of pretending to explain it to someone, talking about your reaction to the article, helps develop a culture of thinking, and gives you ideas to speak and write about on test day. Finally, Andressa was able to use these ideas to fill in the simple Task 2 outline from our course, and have very little anxiety during the Writing Exam, as well as feeling confident all day. What do you think of Andressa’s advice?